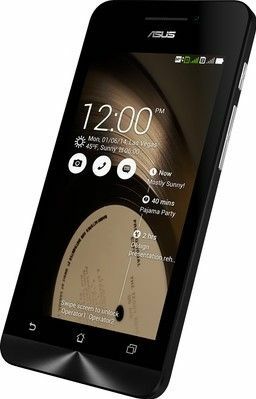 On January, 2014, Asus launched Asus Zenfone 4 A400CG (8GB). Price of this mobile is Rs. 2490. The processor in this model is Intel Atom Z2520 with Intel Hyper Threading Technology. Asus Zenfone 4 A400CG (8GB) has 1 GB RAM with 8 GB Internal Memory. This mobile runs on Android 4.3. This phone has 5 MP Rear Camera without flash along with 0.3 MP Front Camera without flash. Asus Zenfone Go ZB452KG (2nd Gen) comes with price of Rs. 2710. . Asus Zenfone Go ZB452KG (2nd Gen) has 1 GB RAM with 8 GB Internal Memory. This mobile runs on Android 5.1.1. This mobile has 5 MP Rear Camera without flash along with 0.3 MP Front Camera without flash. Asus Zenfone Go 4.5 comes with price of Rs. 2944. and this model has 1 GB RAM with 8 GB Internal Memory. This mobile runs on Android 5.1. This phone has 5 MP Rear Camera with LED flash along with 0.3 MP Front Camera without flash. The Asus Zenfone C ZC451CG from Asus was launched on January, 2015. This model comes at a price of Rs. 3050. It is powered by Intel Atom Z2520 processor and this model has 1 GB RAM with 8 GB Internal Memory. Asus Zenfone C ZC451CG runs on Android 4.4.2. This model has 5 MP Rear Camera with LED flash along with 0.3 MP Front Camera without flash. The Asus Zenfone 4 A400CXG (8GB) from Asus was launched on July, 2014. Price of this phone is Rs. 4149. This phone runs on Android 4.3. This model has 5 MP Rear Camera without flash along with 0.3 MP Front Camera without flash. The Asus ZenFone Go 4.5 LTE (ZB450KL) from Asus was launched on July, 2016. This model comes at a price of Rs. 4199. It is powered by Qualcomm MSM8916 Snapdragon 410 processor. This phone has 1 GB RAM with 8 GB Internal Memory. Asus ZenFone Go 4.5 LTE (ZB450KL) comes with 4G & 3G connectivity. This model runs on Android 6.0. It has 8 MP Rear Camera with LED flash and 2 MP Front Camera without flash. The Asus Zenfone Go ZB452KG (With 8MP Camera) from Asus was launched on April, 2016. This mobile comes at a price of Rs. 4199. The processor in this model is Qualcomm Snapdragon 200 MSM8212 and this mobile has 1 GB RAM with 8 GB Internal Memory. Asus Zenfone Go ZB452KG (With 8MP Camera) runs on Android 5.1. This phone has 8 MP Rear Camera with LED flash along with 2 MP Front Camera without flash. On August, 2015, Asus launched Asus Zenfone Go ZC500TG. This mobile comes at a price of Rs. 4490. and this model has 2 GB RAM with 8 GB Internal Memory. This mobile runs on Android 5.0. It has 8 MP Rear Camera with LED flash along with 2 MP Front Camera without flash. The Asus Zenfone 4 A450CG (8 GB) from Asus was launched on June, 2014. The Cost of this mobile is Rs. 4499. It is powered by Intel Atom Z2520 processor and this mobile has 1 GB RAM with 8 GB Internal Memory. This phone runs on Android 4.4.2. This model has 8 MP Rear Camera with LED flash and 0.3 MP Front Camera without flash. On October 17, 2018, Asus launched Asus ZenFone Lite L1. Price of this phone is Rs. 4999. Asus ZenFone Lite L1 is powered by Qualcomm Snapdragon 430 processor. This phone has 2 GB RAM with 16 GB Internal Memory. This model comes with 4G & 3G connectivity. Asus ZenFone Lite L1 runs on Android v8.0. It has 13 MP Rear Camera with LED flash and 5 MP Front Camera with LED flash. ✓ The highlight of this mobile is 5.45 inches Display Size which is great in this price range.